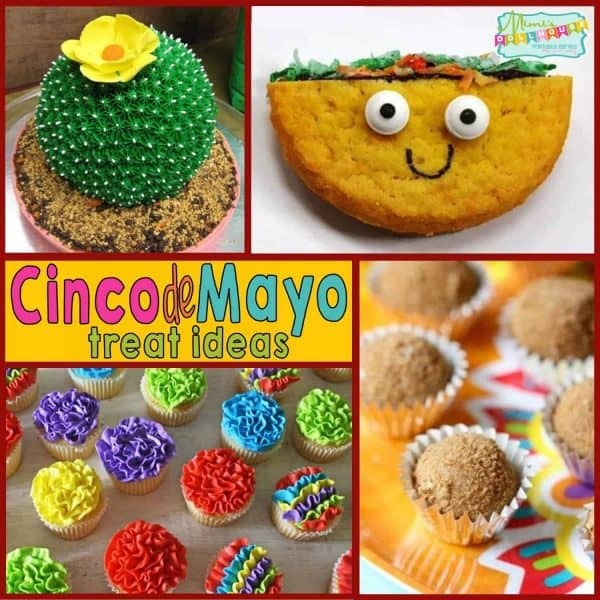 Cinco de Mayo: Cinco de Mayo Treat Ideas. Throwing a Cinco de Mayo party? 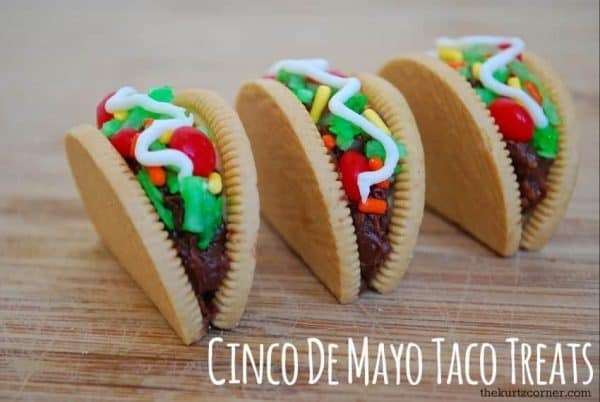 Here are some great Cinco de Mayo treat ideas to spice things up. Be sure to also check out our other Cinco de Mayo Party Ideas. Gearing up for an awesome Cinco de Mayo Party? 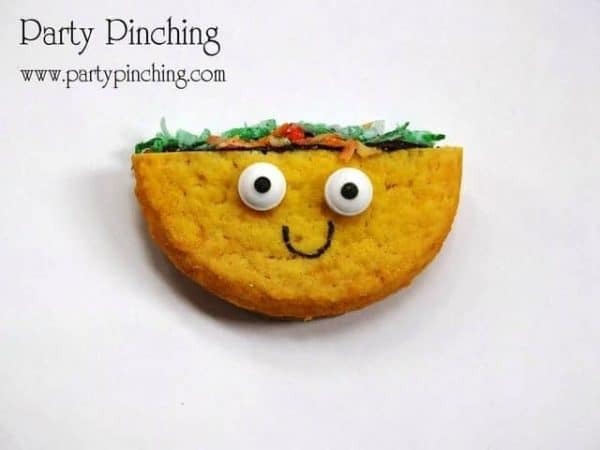 We’ve hooked you up with some free Cinco de Mayo Decorations, and now we’ve got some super yummy and oh so cute party treats and food ideas to share. Isn’t the food the best part of the party anyway?! 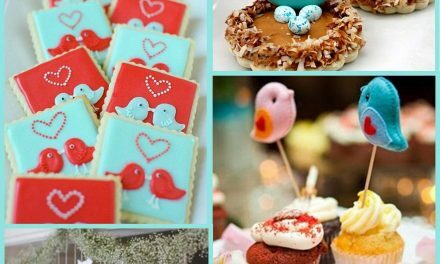 Sometimes I think I throw parties just for the excuse to try some of these amazing treat ideas. I might have a problem….a yummy problem, but a problem none the less!! At least I’m a social baker, right??? 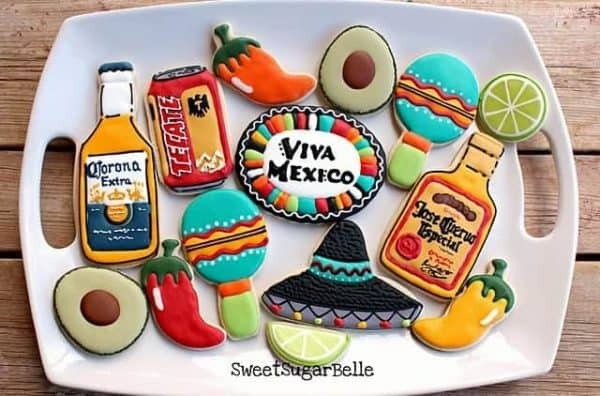 Well whether you are partying cuz you love the holiday or because you love the little treats like me, here are some Cinco de Mayo treat ideas for you. These little taco cookies are absolutely adorable. Almost too cute to eat (almost!!). I think the eyes are my favorite part! That and the fact that the “Lettuce” looks like hair! Genius! These ruffled cupcakes are simply gorgeous. Together on a table, they would make an excellent display, don’t you think?? 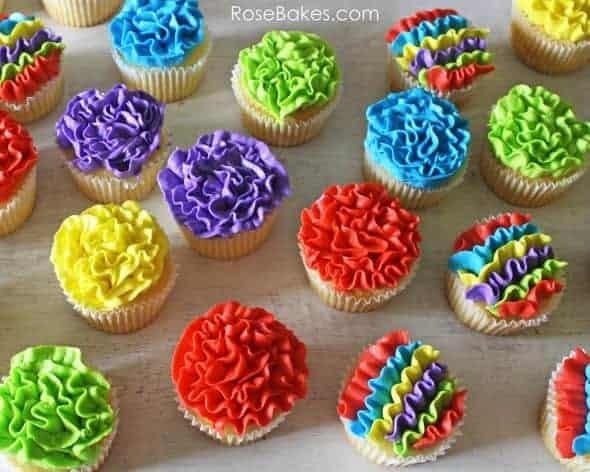 I especially love the multicolored ruffles. Beautiful! So these little guys combine two of my favorite things…churros and truffles. Yummy!! 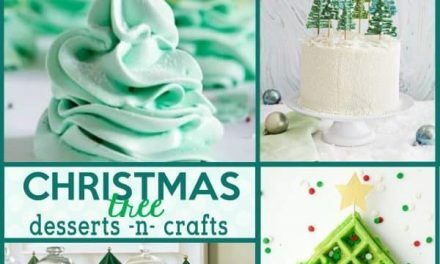 They look so good and super easy to make too! We are big fans of easy to make around here!! 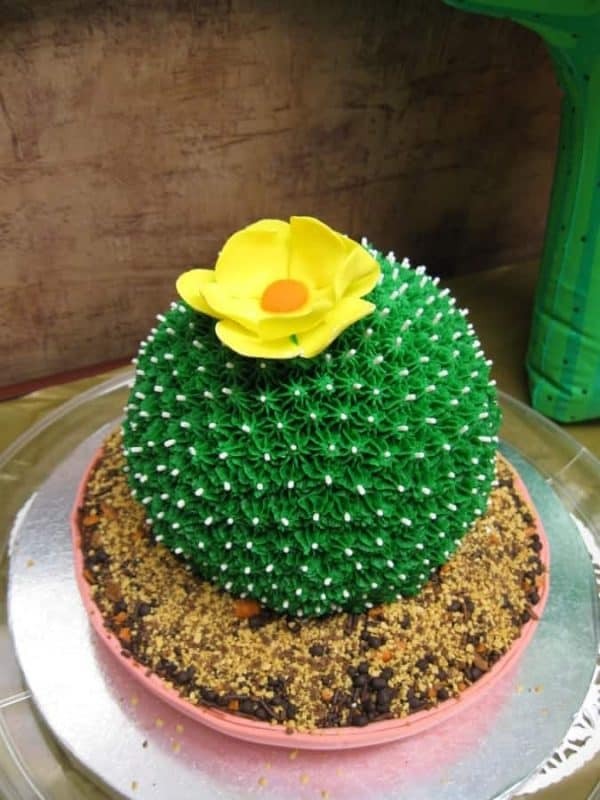 I love this simple and cute DIY cactus cake. This would definitely be a hit for any party!! Adorable! So…what’s a Cinco de Mayo celebration without a little livation? These alcohol themed cookies are too too awesome! 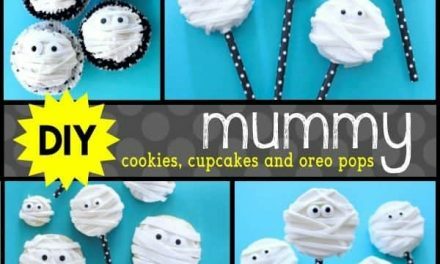 These are super adorable and using the provided tutorial…super easy to make. You can’t beat that!!!! Wanna throw a Cinco de Mayo party? 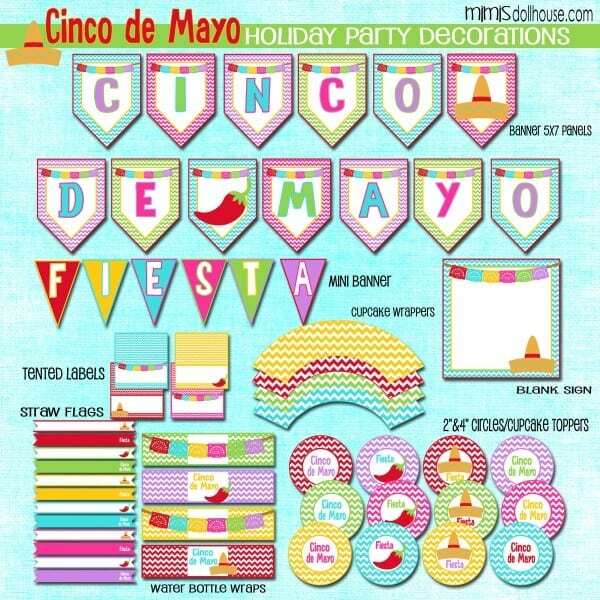 Download our FREE Cinco de Mayo Printables!! PreviousConstruction Party: Can you dig it? Tyler is 4! these are all so cute! that cactus is my favorite! Such great ideas for a fun time on Cinco De Mayo! One of my fave holidays…. 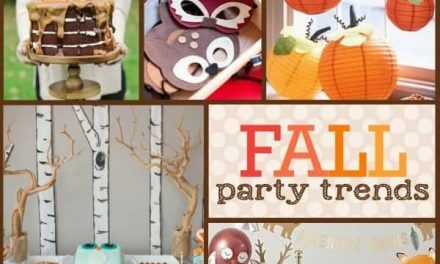 you are the QUEEN of party planning! this is all so darn adorable! Such cute ideas! I can’t get over that cactus cake, LOVE! 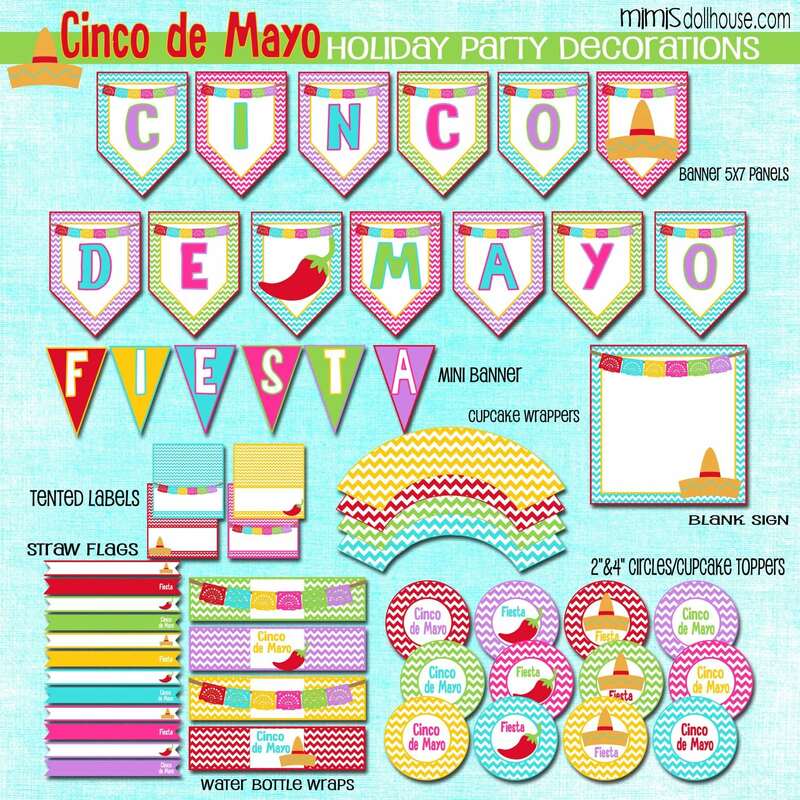 And your printables are perfect for any cinco party, they’re so bright and festive! So cute! I love the little taco treats! I love all the taco cookies and that cactus cake is darling! What a fun selection of ideas. All of those treats are too cute! I can’t get over the taco cookies! 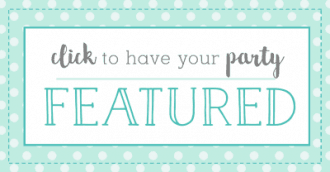 Oh my gosh, these ideas are all so adorable!! I love the cute little cactus cake!! Oh how adorable are these ideas for cinco de mayo! I love the taco cookies and the cactus cake! This is really so very creative as always! Oh my gosh those smiling taco cookies are precious! 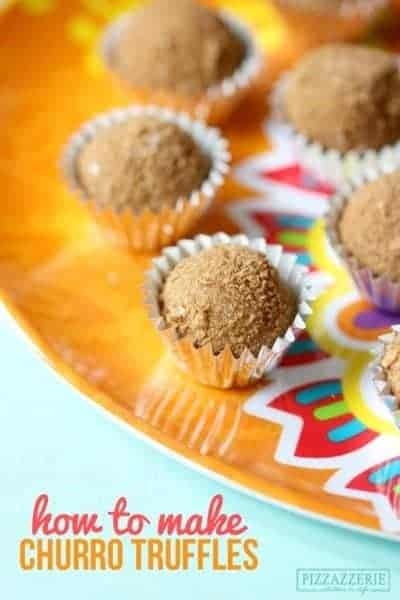 My husband and I both love churros so I’ll have to whip up a batch of those churro truffles on Cinco de Mayo. These treats are all amazing! I can’t help to check each one of these. I so love the taco cookies and cactus cake. Adorable and definitely yummy! My niece birthday is May 5th, I am so glad to read your post and get those great ideas. Thanks for sharing.